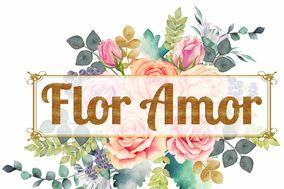 I have never been big on flowers and Flor Amor made the fully greenery boho wedding of my dreams come true. To say I was extremely pleased is a great understatement. From the beautiful greenery head wreath to the greenery elegantly strewn across the head table (that I asked for three days before the wedding), Sharon was not only patient and flexible but made me feel confident that I would get quality work for the price that worked for me. The guests at my wedding were smitten by the arrangements and I could not be more pleased with Sharon's work. Sharon is absolutely amazing! She was extremely professional and accommodating. I had a HUGE wedding, and she was so fair on the price, I literally couldn't believe what an amazing deal I was getting. On top of that, my flowers were all I envisioned and more! Everyone loved my flowers, and my bouquet was especially amazing. When I took my bridals (the day of, literally hours before I was supposed to shoot), I emailed Sharon freaking out because I had no flowers. She got me a bouquet and even drove it to me where I was getting my hair and make-up done. Also, she came and picked up a locket from me a week before the wedding because we wanted to incorporate a picture of my grandma with my bouquet, so she could be there with me on my special day. I trust Sharon with everything, she's personable, professional, and wonderful to work with. If you're looking for someone who can see your vision, then you HAVE to go to Sharon! Can I just first say that from the very first phone call Sharon was awesome! I gave her a budget that I thought would never realistically work but that was my goal and she was honest about it and said she can probably make it work. She met me at the venue we went over my thoughts and hers and she had to tweaking but still went with what I was picturing and she helped me realize things I hadn't thought of. I put a lot of trust in her and it all came out perfect! The day of the wedding everything was perfect and I mean perfect and she not only had all the flowers as I had imagined but she got everything all decorated as she said she would and even stayed to help decorate the rest of my wedding (not floral related). I can't thank her enough and she is definitely on my top list of recommendations. I was so excited to find Sharon at Flor Amor! I was a bridesmaid in a wedding while in college and was disappointed to find out her store had closed. Amazingly, my friend ran into her here in Austin, found out she has a business here, and i knew it was meant to be. She patiently looked through all the photos i found and helped me choose flowers that fit into my budget.